The state-wide survey carried out by World Wildlife Fund (WWF) India in collaboration with the Arunachal Pradesh Forest department began in March 2017 and focused on the unexplored areas. NEW DELHI: A study on snow leopards in Arunachal Pradesh shows photographic evidence of the presence of the elusive species in the Thembang region of the north-eastern state. 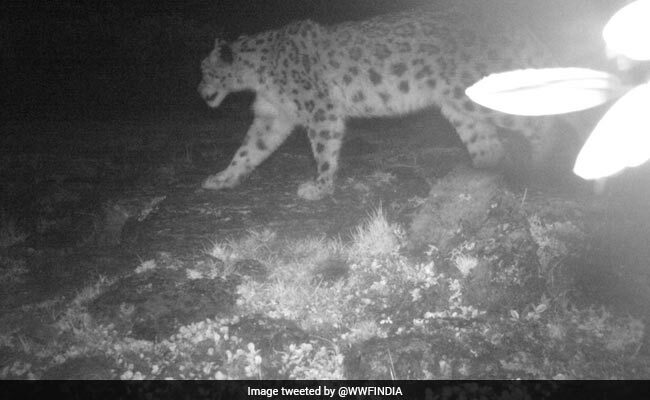 The study yielded photo evidence of the snow leopard through a camera trap set up at Thembang, one of the community conserved areas in the state, a WWF statement said. Only a fraction of snow leopard habitats in the state falls into two protected areas--Dibang Biosphere Reserve and Namdapha National Park. "The presence of the big cat beyond these protected areas highlights the importance of community support for conservation as well as landscape-scale conservation planning," it said. "This is perhaps the first time that the presence of snow leopard has been reported through a camera trap photograph from the state of Arunachal Pradesh," said Omkar Singh, principal secretary, Environment and Forest, Arunachal Pradesh government. The survey relied on the knowledge of the community members to understand the current distribution of snow leopards and other large mammals in the region. "Scientific information on the distribution of snow leopards generated through this state-wide survey is an encouraging sign for WWF-India and the Arunachal Pradesh Forest department," said Ravi Singh, secretary general and CEO of WWF-India. Snow leopard, native of central and south Asia, is listed as a 'vulnerable' category animal in the Red List of threatened species compiled by the International Union for Conservation of Nature(IUCN).